In addition to our deacidification process, Bookkeeper is offered in two convenient formats — the Bookkeeper Spray Products and the Bookkeeper Spray System. These products are available for purchase small jobs. Contact us for more information. 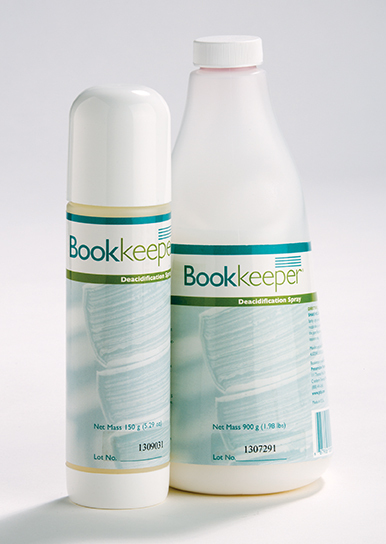 Bookkeeper suspension is virtually odor free and dries in minutes. Bookkeeper does not damage inks, adhesives, or binding materials. It is non-clogging, non-toxic, non-hazardous, non-flammable, and contains no CFC’s and is completely safe for the environment.